He may be gone but studies of his life and work will probably never end. Yet another book on Nelson Mandela was launched on Monday evening at Wits University as part of the re-opening of the Mandela archives. 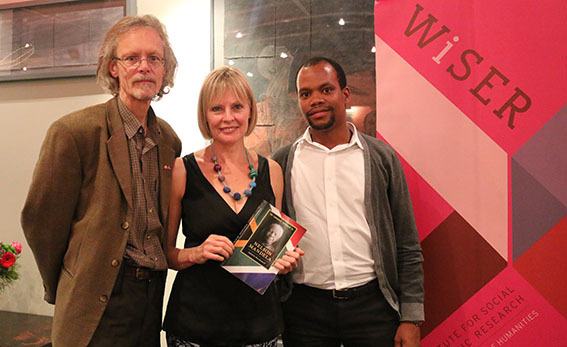 WiSER and the Nelson Mandela Foundation reopened the Mandela archives through the launch of scholarly work, The Cambridge Companion to Nelson Mandela, a collection of essays written by experts in history, anthropology, cinema, literature and anthropology. “The new contributions of this book, put emphasis on politics redefined in a few different ways. This is a book in which the politics of the body is taken seriously. Various chapters in the book focus on how Mandela looked, how he presented himself visually. The book also focuses on the politics of gender as Brenna Munro conceptualises in the “Nelson, Winnie, and the politics of gender” chapter,”, said editor Rita Barnard. The book launch was used a means of celebrating the reopening of the Mandela archives which are located at the Nelson Mandela Centre of Memory in Houghton, Johannesburg. Described as the ‘personal archive’ of Mandela, the collection is housed in the former offices of the late Mandela. Among other guests who attended the launch were Mandela’s close friends and confidants George Bizos and Ahmed Kathrada, along with former first lady, Zanele Mbeki.